Dr. Yvonne Stedham is a Professor of Management and a 2010 UNR Foundation Professor in the College of Business at the University of Nevada, Reno (UNR). She is the past Chair of the Managerial Sciences Department. Yvonne received a Ph.D. in Business from the University of Kansas and undergraduate degrees in Economics and Business from the University Bonn, Germany. At UNR, she has been teaching graduate and undergraduate courses in International Management, Human Resource Management, and Mindful Leadership. She has also taught such courses at the School of Management in Ingolstadt, Germany. In addition, she is a faculty member of the interdisciplinary Ph.D. program in Social Psychology at UNR. Recently, Yvonne’s research has focused on cross- cultural determinants of trust and on the relationship between mindfulness and leadership. Her earlier work addressed cross-cultural aspects of management and business ethics and has been published in the Journal of Business Ethics, Business Ethics: A European Review, the Asia Pacific Business Review, Journal of Management, Women in Management Review, the Journal of Management Studies, the Journal of European Industrial Training, International Journal of Hospitality Management, the Journal of Knowledge Management Practice and others. Yvonne is always ready to learn new things and to seek out opportunities for growth and development. She “found” mindfulness at a critical time in her life. Aspiring to share the benefits of mindfulness with others, Yvonne has recently completed most of the steps required for the teaching certificate of the Mindfulness Based Stress Reduction (MBSR) Program. She has completed the practicum training through the Center for Mindfulness at the University of Massachusetts and has taught Mindfulness Programs in Reno, Nevada. 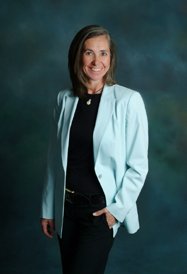 Yvonne is the past President of the Nevada World Trade Council (NEWTRAC), has served on the State Council for the Society for Human Resource Management (SHRM) and on the Board of Directors of numerous non-profit organizations in Northern Nevada. She has provided management training locally, including the Reno Police Department, and REMSA (Ambulance Services). Through the National Judicial College (NJC), Yvonne has been extensively involved in providing management skills training for Chief Judges across the U.S. This training includes sessions on Mindful Leadership. Most recently, she designed and co-taught a Mindful Leadership program for the Nevada Department of Transportation (NDOT).